the Touch Test Disc was the best predictor of school performance. The Touch Test Disc test requires the individual to keep the non-dominant hand in the rectangle box in the center, then touch with the dominant hand in the circle on the opposite side, crossing his arm over the other, and come back to complete one cycle. It is scored by measuring the smallest amount of time is takes to complete 25 correct cycles out of three trials. significant correlations between motor coordination and several indices of cognitive function, such as the total score of the Academic Achievement Test and two WISC-IV sub-tests: block design and cancellation. all the other cognitive variables pointed in the same direction, and even correlated with agility, but did not reach statistical significance. The researchers concluded that visual motor coordination and visual selective attention, but not agility, may influence academic achievement and cognitive function. Reference: Fernandes, V. R., Ribeiro, M. L. S., Melo, T., de Tarso Maciel-Pinheiro, P., Guimarães, T. T., Araújo, N. B., … & Deslandes, A. C. (2016). 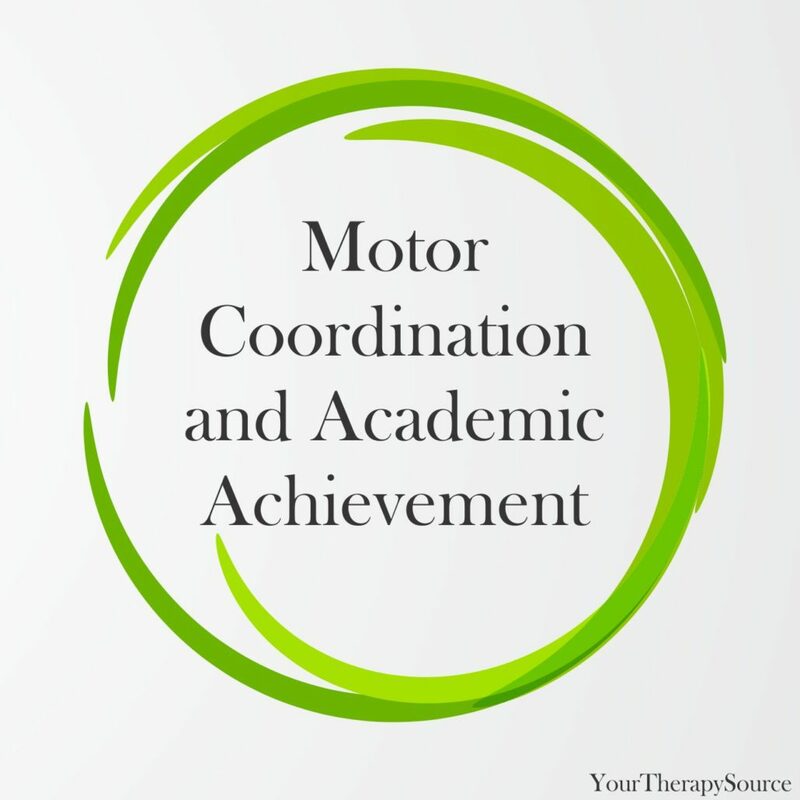 Motor coordination correlates with academic achievement and cognitive function in children. Frontiers in psychology, 7. 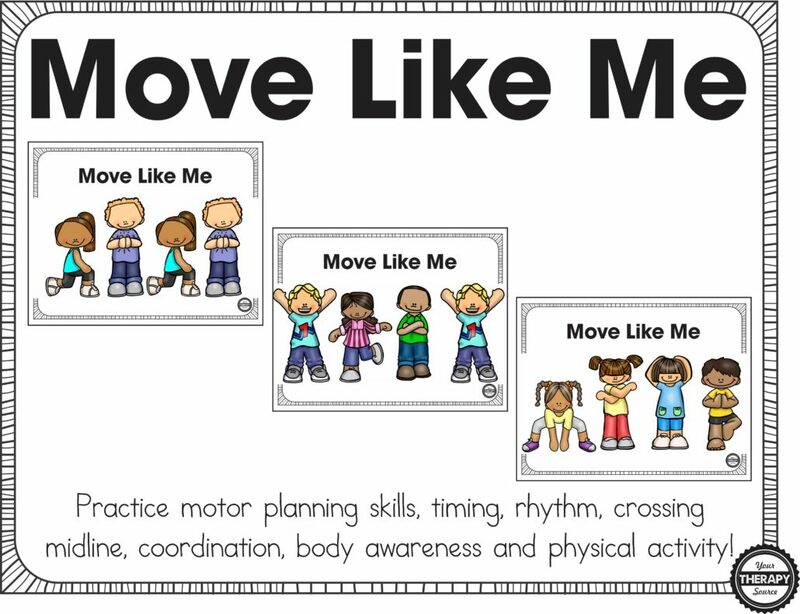 Move Like Me – Digital download includes action poses for children to practice motor planning, crossing midline, body awareness, timing, rhythm, coordination and physical activity. This is a NO PREP activity. Simply print and play or project onto the whiteboard or tablet. Find Out More Information. 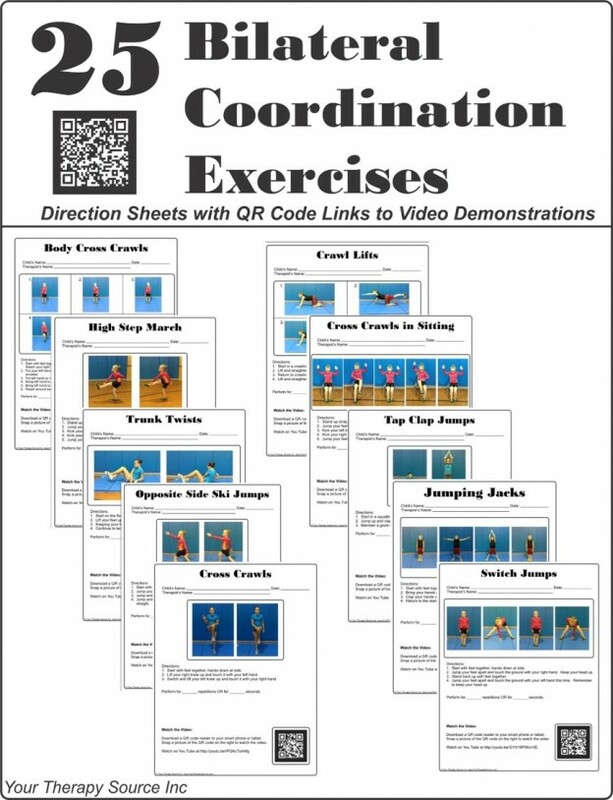 25 Bilateral Coordination Exercises – Download of 28 bilateral coordination exercise sheets including QR codes with links to video demonstration of exercises. Also includes hand out explaining bilateral coordination. Find Out More Information.